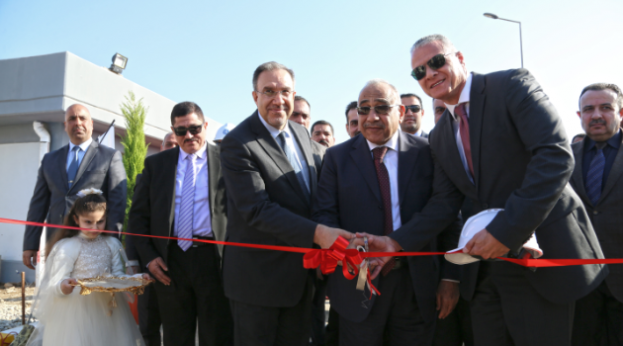 Underlining their joint commitment to support the development of Iraq’s power infrastructure, the Iraqi Ministry of Electricity (MoE) and GE Power’s Grid Solutions business (NYSE: GE) celebrated the energization of the Baghdad West North substation. GE’s scope of work for the turnkey 400/132/11 kilovolt (kV) gas insulated substation project included the design, equipment manufacturing, site delivery, erection, testing & commissioning, and training of personnel. The project’s construction, erection, commissioning, and testing was completed by GE Iraqi engineers in collaboration with local Iraqi subcontractors. The facility can feed 132 kV substations at Kadhmiya, Al Shualla and Al Sabbeaat, as well as another five substations that are planned to be developed in the future and helps connect power from the Basmaya Power Plant, Taji Gas Power Plant and mobile gas power plants to the national grid. “The energization of the substation reflects our commitment to support Iraq in building a robust electricity infrastructure,” said Mohammed Mohaisen, President & CEO of GE Power’s Grid Solutions business in the Middle East, North Africa and Turkey. Following the agreement for the Baghdad West North substation, GE also signed a US$400 million agreement to develop and rehabilitate 14 additional electric substations, and to supply critical equipment such as transformers, circuit breakers and other related equipment. The substations will connect power plants spread across the governorates of Ninawa, Salah Al Din, Al Anbar, Karbala, Baghdad, Qadisiyyah and Basra to the national grid. Several of the locations, in conflict-affected areas, have an immediate need of reliable power infrastructure.